You can learn more about animal hospice from the International Association of Animal Hospice and Palliative Care (IAAHPC). See here for a nationwide directory of animal hospice and in-home euthanasia providers. Advances in veterinary care have greatly extended the lives of our animal companions. For caregivers (aka pet parents), management of animal health has become an essential component of the human-animal relationship. The importance of this component is heightened with the onset of illness or advancing age. This is particularly true when a pet has been diagnosed with a terminal illness or when the animal companion has advanced to “senior” status with (or without) the development of chronic disease. With longer life expectancy comes the responsibility of ensuring that the additional time afforded has quality as well as quantity. The caregiver’s role as patient advocate is as vital at the end of an animal’s life as it is at any other time. But how can we ensure that our obligations in this capacity are met? One answer to this question is animal hospice care. Animal Hospice is not denial of treatment; it should be seen as an alternative to premature euthanasia and to the prolonged suffering that can result from the extremes of isolating an animal in intensive care or inadequate treatment. Caregivers need detailed information about the expected course of their pet’s disease, how the palliative approach differs from the curative approach, and what services can be provided by veterinarians already involved in the case, and which services are available via referral. When determining the exact services to be provided, the animal’s particular needs as well as the emotional well-being and financial situation of the caregiver are taken into account. Support of the Pet’s Family (assistance with decision-making and planning; respite care; and grief counseling). 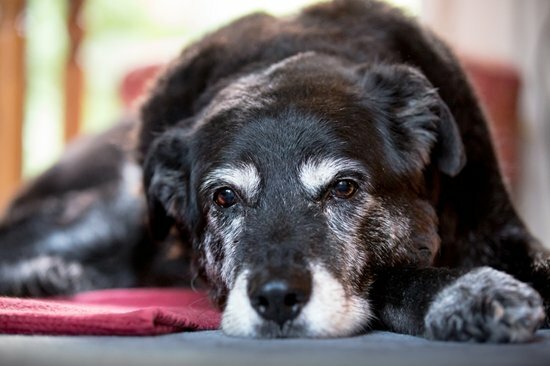 Hospice has traditionally been an underutilized tool in veterinary medicine. Veterinarians may be reluctant to expand their services into animal hospice care for several reasons, not the least of which is the newness of the field. Also, due to its all-encompassing nature, providing hospice services can appear overwhelming. Human providers have dealt with this obstacle by taking a team approach. Using this concept, an animal hospice team might include traditional and complementary veterinarians; veterinary technicians and assistants; pet sitters; volunteers; grief counselors/pet loss support hotlines; and of course the patient’s human family members and friends. All team members should be trained to assess key quality-of-life indicators and to bring any concerns to the attention of the caregiver and veterinarian. As pets become more adored as family members and surrogate children, their entire lives will be handled with the utmost care and respect, and this includes the time around their deaths. As with any new leap forward, lasting change will take time, but by working together, we have the opportunity to improve the level of care a pet receives from the time it develops life-limiting disease to the moment the family says goodbye. Animal hospice providers are becoming increasingly available nationwide. As of 2013, 200 services were listed in a nationwide directory of in home euthanasia providers, many of which offer home hospice care as well. Residential animal hospice facilities are another option, especially when the family is not ready to proceed with euthanasia and is unable to provide necessary medical care in the home environment. Facilities like these are few and far between and, to date, remain highly unregulated. Hospice emphasizes the terminally ill animal’s quality-of-life, provides the family precious time with the animal, and helps the family cope with the approaching death of their beloved companion. Through appropriate care and the promotion of a caring community sensitive to their needs, patients and their families may be free to attain a degree of mental and spiritual preparation for death that is satisfactory to them. The patient’s condition may continue to be addressed directly, but heroic measures causing significant distress should be avoided. Animal hospice also addresses the needs of the pet’s caregiver(s) and other family members. By supporting both the patient and family, the human-animal bond can remain strong throughout the dying process and beyond. Cooney K. In-Home Pet Euthanasia Techniques. 2011.
International Association of Animal Hospice and Palliative Care. What is IAAHPC? About Dr. Cooney: Dr. Kathleen Cooney is a Grey Muzzle Advisory Board member and is the founder and owner of Home to Heaven, an in-home pet hospice and euthanasia specialty service based in northern Colorado. Dr. Cooney is the president of the International Association for Animal Hospice and Palliative Care (IAAHPC). She is also the author of “In-home Pet Euthanasia Techniques” and “Veterinary Euthanasia Techniques: A Practical Guide.” Due to her commitment to care for aging and dying pets, she received the 2011 Rising Star Veterinarian Award from the Colorado Veterinary Medical Association.